Products are delivered in jiffy/padded bags, envelops or carton boxes to ensure that our products reach their destination in good condition. Deliveries are made using Express Carriers or Standard parcel postal services, depending on what a customer selects at the time of ordering. Delivery days are working (business) days, that is Monday to Friday. If we are delivering to a business address, delivery will be made to the address that you have selected. GreeksInBritain.com shall be deemed to have delivered your order to the intended recipient by delivering it to the reception area or post room of that address. If you are in any way dissatisfied with our products, please return it by post if possible in its original outer box, sealed, for a full refund. If our goods arrive damaged or faulty in any way please contact us by email before returning the goods. We reserve the right to accept or decline any order from any area in the United Kingdom, the European Union or abroad. The GreeksInBritain.com Business Directory is intended for UK based -Greece or Cyprus related- professionals and businesses. All new Listings will be checked by an editor before the Listing goes live on the Website. This is so we can check that links are working, and proof-read content for errors. You may be asked to verify the “Greece or Cyprus related” part of your business. 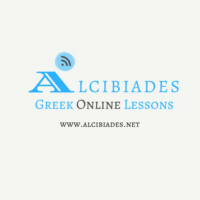 “Website” means the website that you are currently using GreeksInBritain.com and any sub-domains of this site unless expressly excluded by their own terms and conditions. 2.1 All Content included on the Website, unless contained in Listings, including, but not limited to, text, graphics, logos, icons, images, sound clips, video clips, data compilations, page layout, underlying code and software is the property of GreeksInBritain.com, or our affiliates. By continuing to use the Website you acknowledge that such material is protected by applicable United Kingdom and International intellectual property and other laws. This Website may contain links to other sites including, but not limited to, those of Listed Businesses. Unless expressly stated, these sites are not under the control of GreeksInBritain.com or that of our affiliates. We assume no responsibility for the content of such Websites and disclaim liability for any and all forms of loss or damage arising out of the use of them. The inclusion of a link to another site on this Website does not imply any endorsement of the sites themselves or of those in control of them. 4.1.11 You agree to only list UK based Businesses and/or Professionals related to Greece or Cyrpus. 4.2 You acknowledge that GreeksInBritain.com or any of its editors shall screen, approve (or reject), edit and/or remove any Listing submitted to the Website. 4.3 GreeksInBritain.com may edit your Listing without prior consultation. In cases of severe breaches of the provisions of sub-Clause 4.1, your Listing may be removed and your Account may be suspended or terminated. You will be informed in writing of the reasons for any such alterations or removals. 4.5 By submitting a Listing you warrant and represent that you are the author of that Listing or that you have acquired all of the appropriate rights and / or permissions to submit it. GreeksInBritain.com accepts no responsibility or liability for any infringement of third party rights by such Listings or Content. 4.6 GreeksInBritain.com will not be liable in any way or under any circumstances for any loss or damage that you may incur as a result of such Listings, nor for any errors or omissions in Listings. Use of and reliance upon Listings is entirely at your own risk. 5.3 Listings are free unless you select additional services such as add-ons and features which are chargeable. 5.3.1 If you have opted to pay by PayPal your account will be billed at the time of ordering. 5.5 Listings which GreeksInBritain.com rejects in accordance with sub-Clause 4.1 shall not be charged for, or in the case that a payment has already been made the monies shall be returned in full. 6.1 If GreeksInBritain.com terminates or suspends your Account as a result of your breach of these Terms and Conditions you may not be entitled to any refund. 7.2 Save for the screening and approval of Listings, GreeksInBritain.com has neither control over, nor involvement in, any Listed Business and accepts no responsibility for any actions taken, or any goods or services provided, by any Listed Business. 7.3 Whilst every reasonable endeavour has been made to ensure that all information provided on this Website will be accurate and up to date, GreeksInBritain.com makes no warranty or representation that this is the case. We make no guarantee of any specific results from the use of our services. 8.1 GreeksInBritain.com accepts no liability for any disruption or non-availability of the Website resulting from external causes including, but not limited to, ISP equipment failure, host equipment failure, communications network failure, power failure, natural events, acts of war or legal restrictions and censorship. 8.2 GreeksInBritain.com reserves the right to alter, suspend or discontinue any part (or the whole of) the Website including, but not limited to, the products and/or services available. These Terms and Conditions shall continue to apply to any modified version of the Website unless it is expressly stated otherwise. If you have any questions about your listing you may contact us by email at cs@GreeksInBritain.com or by Telephone on 07761425904 (Mon-Fri 9am-5pm). The Greeks in Britain Card entitles the holder to a range of discounts on purchases made at any participating retailer. To receive your discount you must present the discount card on each use. The holder must have registered their name and email address at GreeksInBritain.com or at any issuing retailer. The Greeks in Britain Card cannot be used in conjunction with any other discounts or promotions and the participating retailers reserve the right to change their offers at any time without notice. We aim to deliver your card within 10 days. Please allow additional time during bank holidays. Greeks in Britain cards sold at GreeksinBritain.com can be returned after 14 days of receipt for a refund provided they have never been used, unopened, in their original condition. Regrettably postal charges to receive and to return Greeks in Britain cards are not refundable. Greeks in Britain cards design may change, images of the card appearing on the website and promotional material may differ in reality. Greeks in Britain cards are not transferable.